There is a very long list of industries and large corporations with warehouses operating in Arizona and the Southwest. The extreme weather fluctuations of this region bestow specific work-related hazards for warehouse employees. 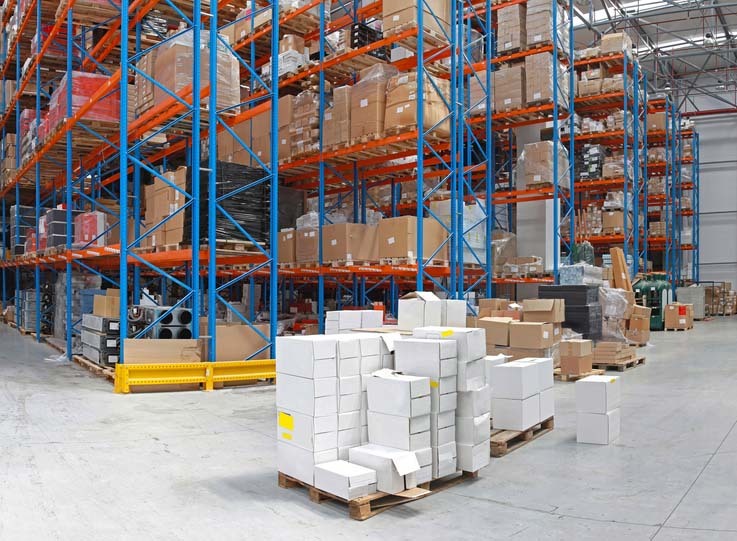 While most industries use a warehouse management system to regulate the supply chain network, inventory control, and to optimize logistics coordination; many warehouse managers overlook temperature control as an indispensable workplace issue. 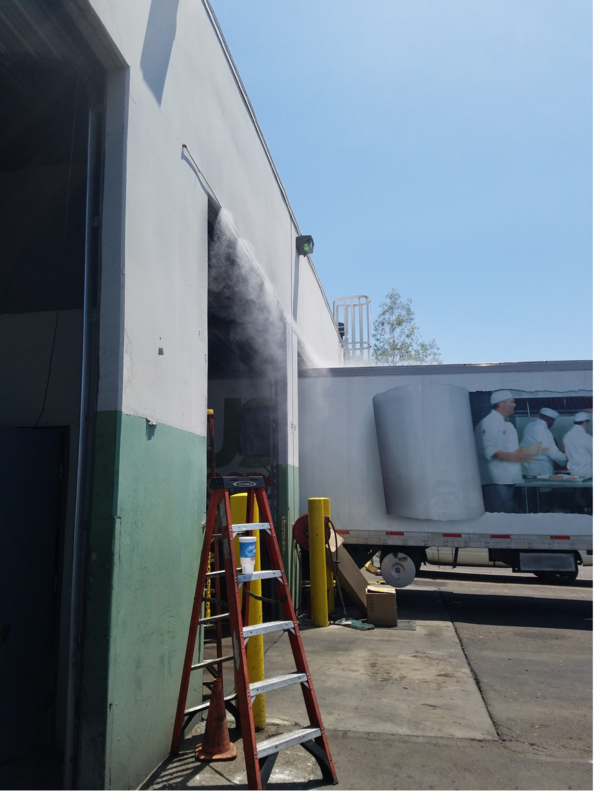 With large warehouse doors open or partially open most of the day, the extreme heat of summer months in Central and Southern Arizona can quickly engulf the warehouse or exhaust warehouse workers. 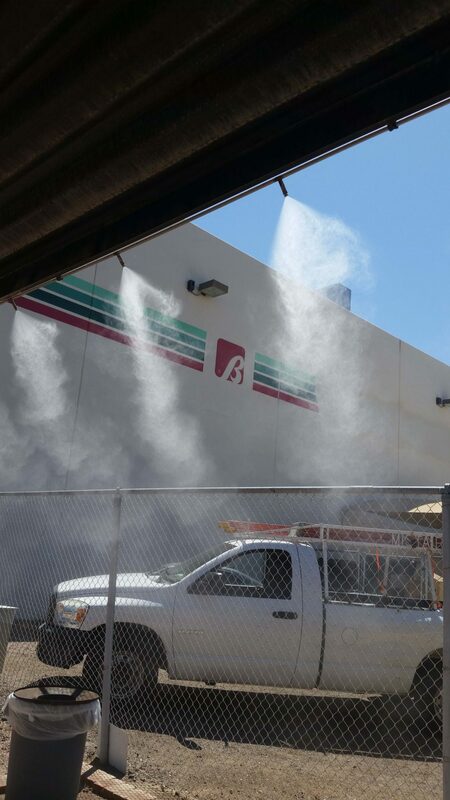 Mist Air has worked with many large industrial and commercial enterprises to optimally place high pressure misting cooling systems near or around large warehouse doors. This can reduce the temperature around warehouse doorways by 20 to 30 degrees, allowing deliveries to be received or sent without the loss of air conditioned cool air inside the warehouse. It also provides a comfortable environment for physically active workers on forklifts and other heavy equipment. 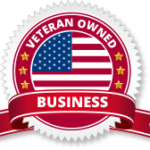 MistAir is the oldest and most qualified misting company in Arizona. Experience Counts – Choose the BEST for your industrial cooling system for your industrial applications! Click to call now!